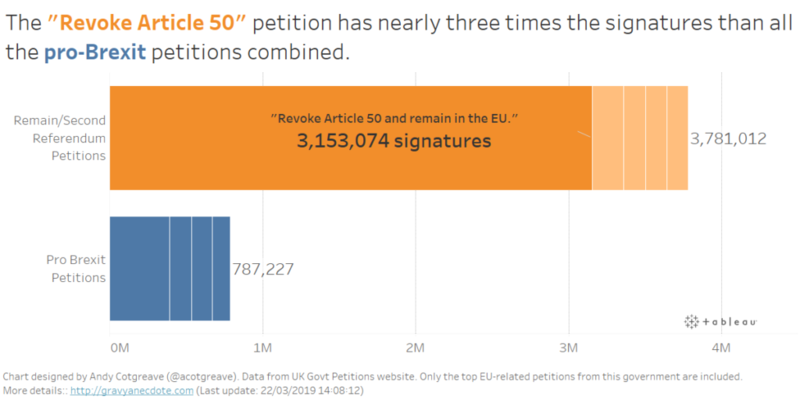 Just how big is the Revoke Article 50 Petition? “Revoke Article 50“: how big can it get? In just 24hrs, this has amassed over 3 million signatures. 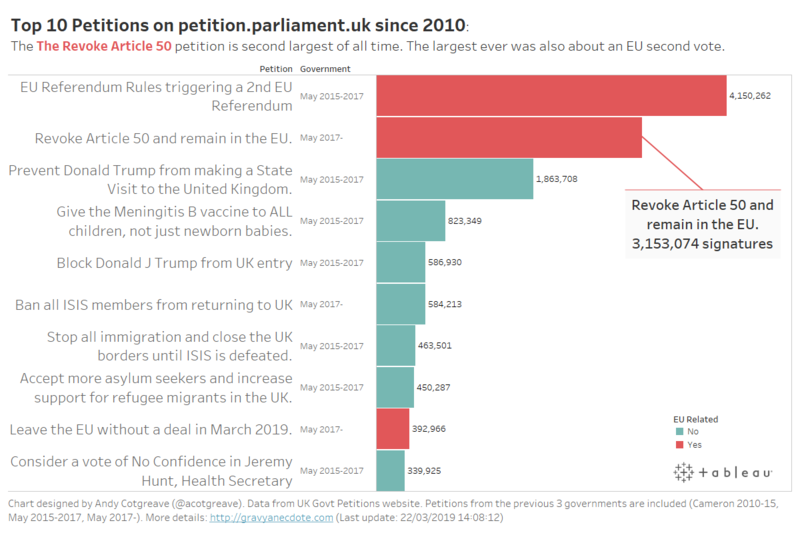 This is by far the largest petition under this government, and the second largest since 2010 (behind only the 4m signature 2nd Referendum petition during May’s 2015-2017 session). There are pro-Brexit petitions, but the biggest this parliament is down in 9th place, a call to leave without a deal with just 392,000 signatures. In this session of government, there are 16,000 petitions on the UK site, many are related to Brexit. 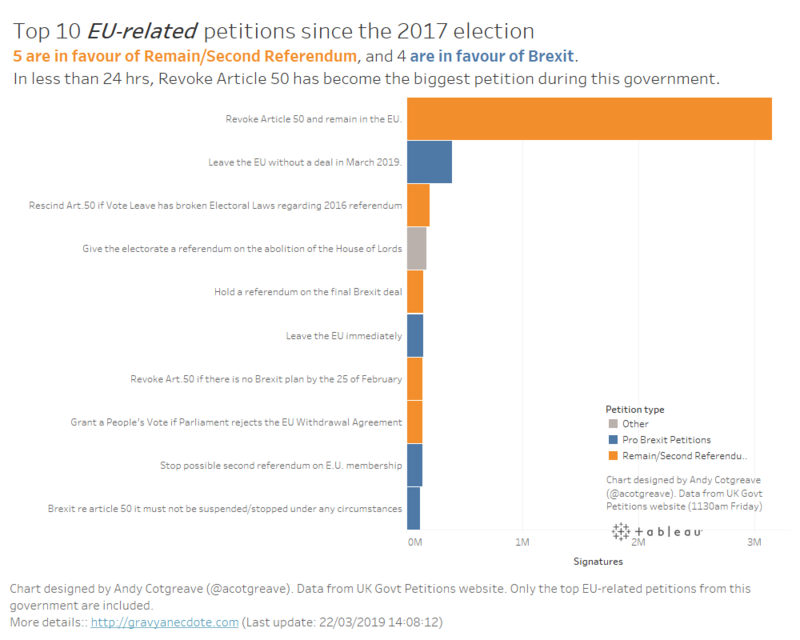 What if we group the pro- and anti-Brexit petitions together: which petitions have garnered the most signatures? For the rest of this article, I’m just looking at petitions made during this government (ie since the 2017 election). Revoke Article 50 is huge. 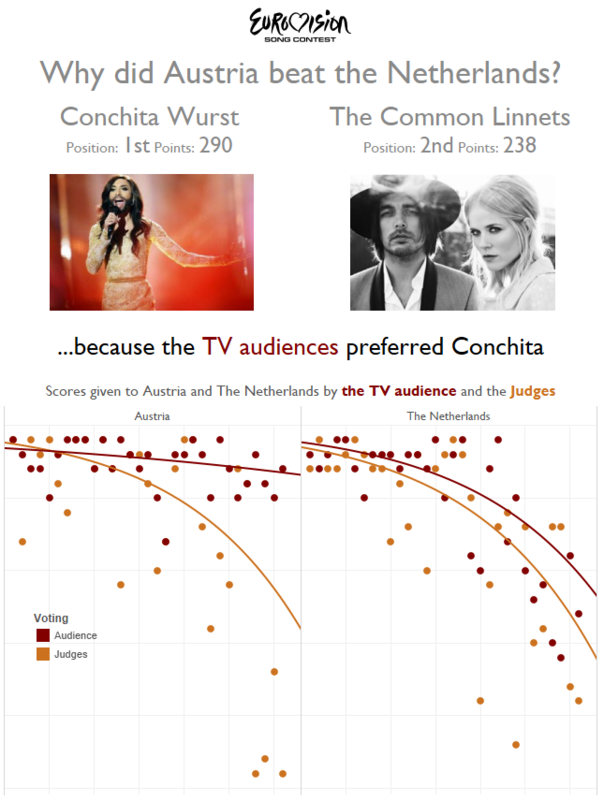 What if we are fair to the smaller petitions, and group the pro- and anti-EU ones together? As you can see, Remainers sign more petitions than Brexiters. 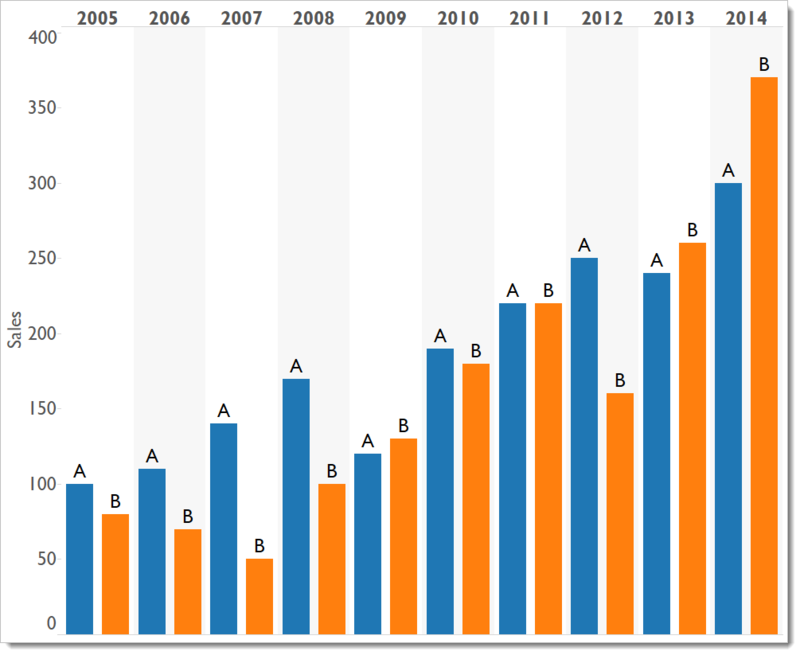 The Revoke Article 50 petition is the fastest growing petition of all time. Will this will change the outcome of Brexit? Who knows! 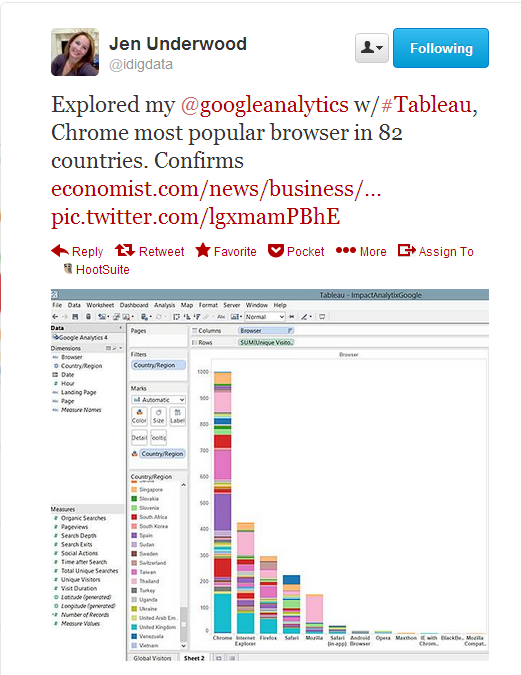 The Economist thinks Chrome is the most popular browser. Well, is it?